If you love to indulge in all things luxury when on holiday, then let us guide you through some of our most prestigious properties, all belonging to the renowned Taj group. 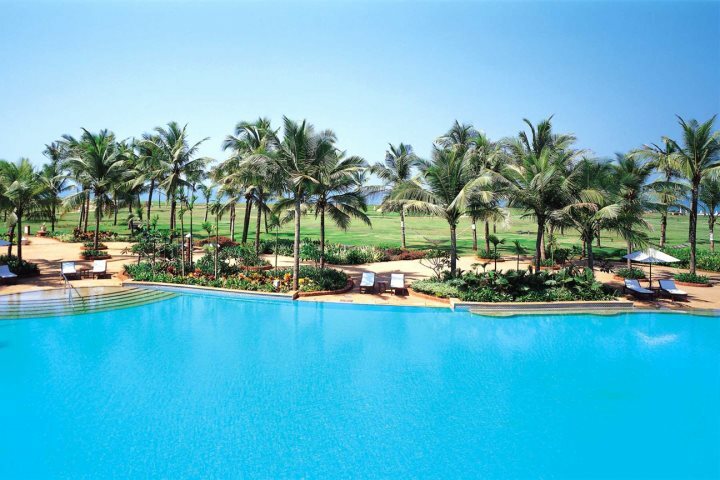 With three hotels on offer – Taj Exotica, Vivanta by Taj Holiday Village and Vivanta by Taj Fort Aguada, each has its own unique aura, ideal for those looking to enjoy a top class holiday in Goa. 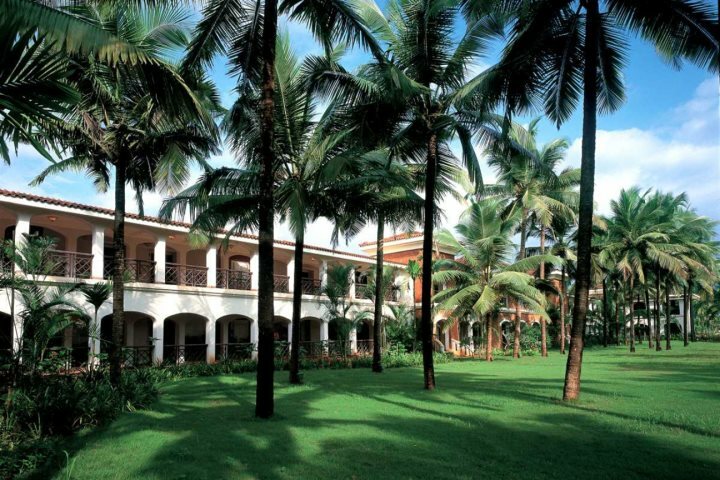 A colonial style building surrounded by beautiful gardens and close to the white sands of Benaulim beach, the Taj Exotica offers the perfect setting for an unforgettable, laid-back holiday in Goa. Each guestroom is decorated tastefully in a colonial style and includes all of the mod cons you would expect, along with beautiful views across the plush gardens out towards the Arabian Sea. Facilities at the Taj Exotica are second to none, offering activities such as tennis, yoga, golf, archery, a Jiva Spa (with traditional Ayurvedic treatments) and pool table, along with a variety of fantastic dining options at the five restaurants and two bars. Children are also well catered for here with a separate pool and activity centre. Tip from the specialists: Upgrading to a Pool Villa Room means you can not only enjoy fantastic views, but your very own private plunge pool too – perfect for relaxing in the Indian sunshine. 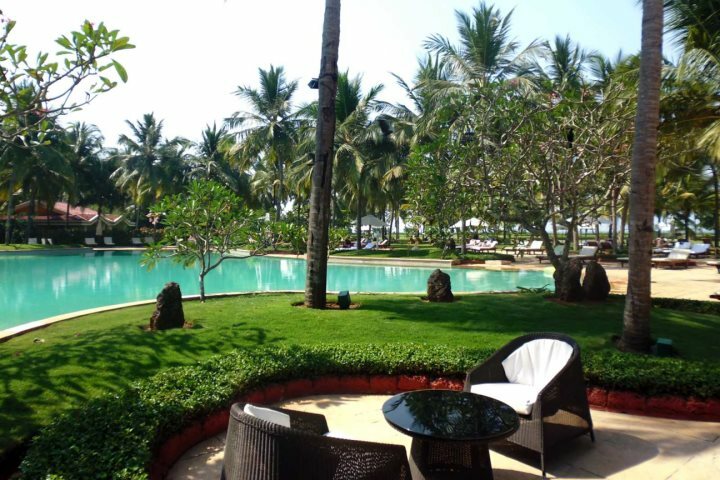 Located along the beachfront at Sinquerim, guests who choose to holiday at this luxury hotel will be able to enjoy fantastic sea views along with a variety of wonderful facilities. 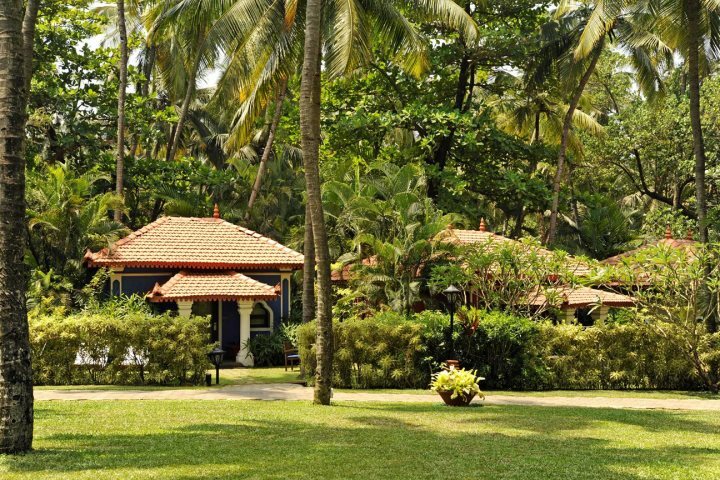 Well-kept green gardens are an impressive feature of this property, and hiding amongst the plants and trees are beautiful heritage-style bungalows and cottages, offering a secluded and peaceful holiday experience. 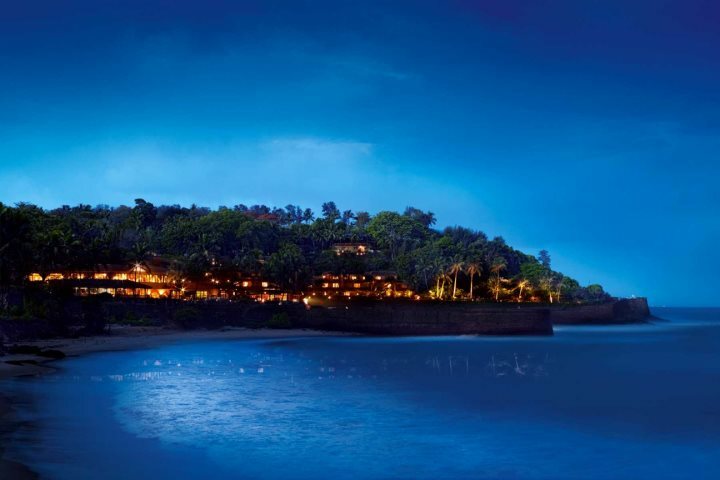 Three restaurants, two bars, yoga sessions, a Jiva Spa, tennis courts and mini golf make up a selection of the activities on offer at this Taj hotel, so why not indulge a little and treat yourself to a traditional Ayurvedic treatment or two? 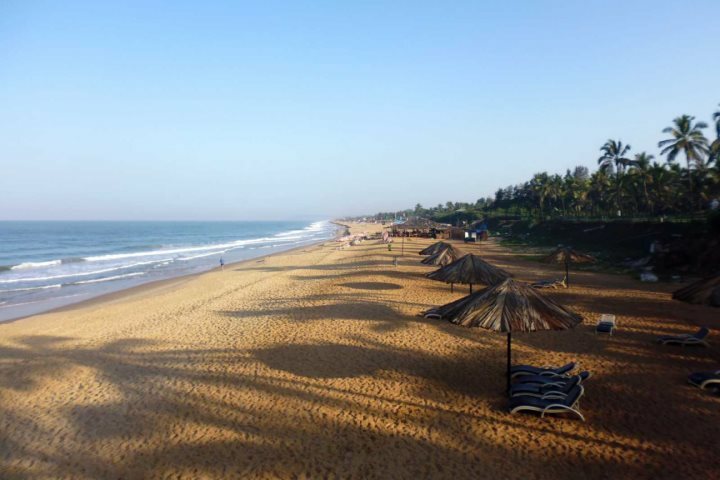 Other unique experiences include an in-house spice tour conducted by one of the hotel’s chefs, and each Saturday you can enjoy a Goan bazaar with tasty street food, traditional henna tattoos and vibrant music. Tip from the specialists: Be sure to check out the beautiful free-form swimming pool. Framed by coconut palms, the refreshing water is particularly inviting after some time spent in the sunshine. 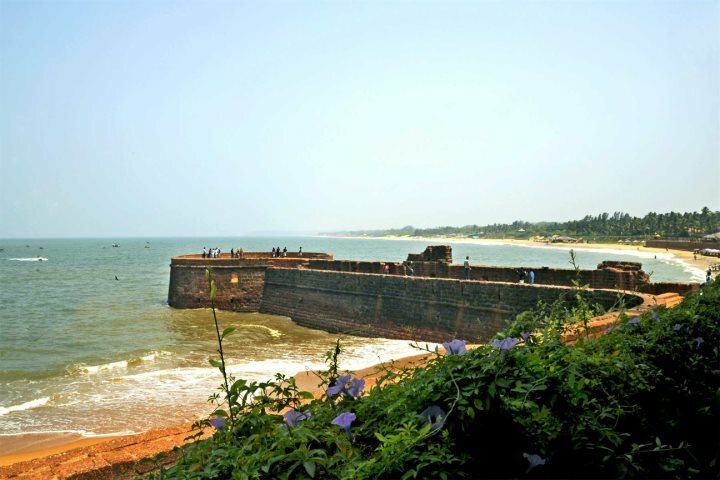 A property which exudes an air of elegance, this hotel offers a stylish getaway, with fabulous views of Fort Aguada and the golden coastline beyond. Nestled amongst 42 acres of palm and pine-filled gardens, you can choose to relax by the pool, head down to the beach or make use of the variety of sporting activities and relaxation facilities available. Experiences such as private dining on the beach and champagne breakfasts can be arranged to make your holiday here extra special, proving ideal for couples looking to enjoy one another’s company and relax. The hotel’s restaurants offer superb cuisine, and the bars provide a wonderful atmosphere to enjoy a drink or two whilst watching the ocean waves roll in. 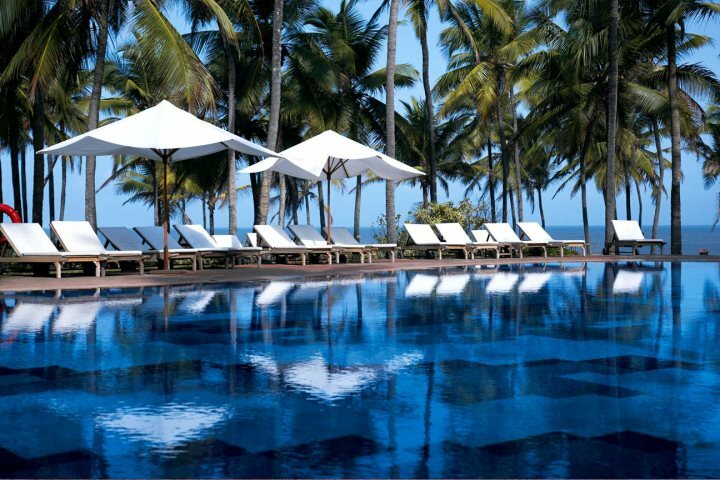 Tip from the specialists: Next door you’ll find sister hotel, Vivanta by Taj Holiday Village. You can use the facilities of this hotel as you wish, whether it be an afternoon by the beautiful pool or a change of scenery for breakfast. The Jiva Spa is also shared by these two hotels. 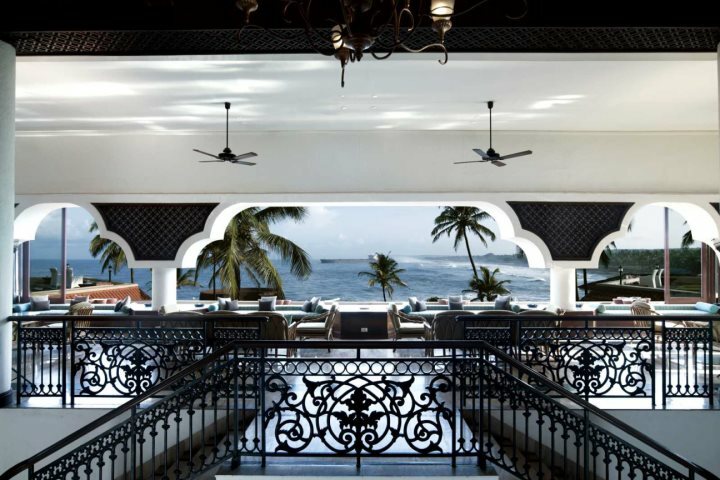 Looking to experience one of these prestigious Taj hotel first hand? Visit GoaExperience.co.uk for more information.